And below is one of those unpleasant surprises when old non-complying work is uncovered. 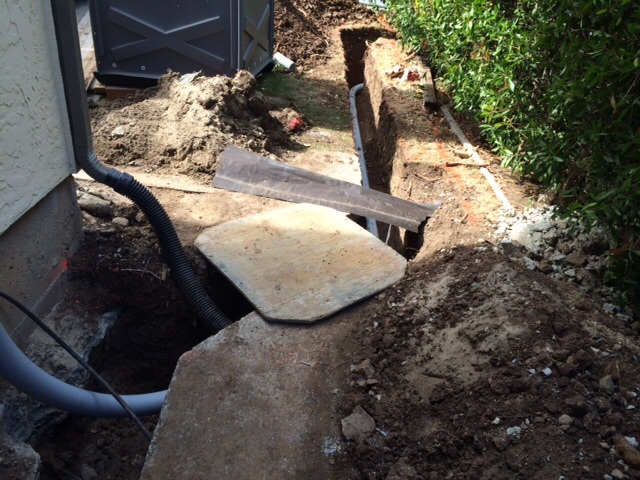 The old electrical service was buried without any conduit to protect the wires. This picture is with the new conduit placed and ready for inspection.